Research shows that students need at least 90 minutes of uninterrupted reading instruction each day to become strong readers, and that this instruction must be systematic, explicit, scaffolded, and differentiated across the classroom. The National Reading Panel Report research shows that ALL students need at least 90 minutes of uninterrupted reading instruction each day to become strong readers, and that this instruction must be systematic, explicit, scaffolded, and differentiated across the classroom. Teachers should be teaching reading to all students using the Comprehensive Core Reading Program that is on the level of the majority of children in the class. An initial lesson from the Comprehensive Core Reading Program is usually 30-40 minutes each day of the required 90 minute uninterrupted reading block. For the remainder of the block, the teacher should differentiate instruction focusing on the need of students using the Comprehensive Core Reading Program or Supplemental Reading Program. This differentiated instruction may be on grade level with special attention to the needs of each student. In addition to the 90-plus minutes, the classroom teacher, special education teacher, or reading resource teacher should provide immediate intensive intervention to children in need (as determined by a diagnostic assessment). Find more detail here: Elementary Reading/Literacy Block Reboot from Just Read, Florida! This sample class has five small flexible groups that are formed based upon ongoing assessment results. The teacher meets with three groups daily during sessions 1, 2, and 3. While not working with the teacher, students will be working in small groups at literacy centers. 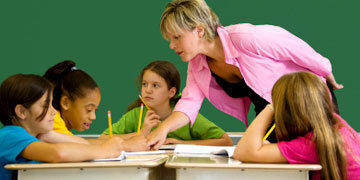 Small group size can vary, but the immediate, intensive intervention group should be no larger than 3-5 students. I face the same problem as Michele...its very difficult. I have students in one class (6th grade) with skills from 1st to 3-5......and in a classroom with no room for me to take a small group or at least not adequate room for me to work with more than one student at at time. There is a concern at my campus regarding the 90 minute block and dual language. How can a teacher teach both English and Spanish Language Arts within a 90 minute block and do small groups at the same time? The problem Special Educators face is that we teach more than one grade level at a time and are required to teach the regular standards/curriculum to each grade AT THE SAME TIME! This doesn't leave much time for differentiated instruction, which is what these students truly need. Can you show a schedule for teaching different grade levels in the 90 minute block?